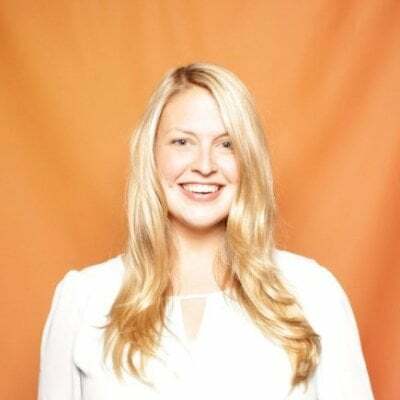 When you ask marketers who their competitors are, they can rattle off a list quite quickly, and perhaps a few anecdotes about notable differentiators like product features, sales techniques, and site structure. Maybe they'd like to know more information about them (say, their marketing techniques?) but that information is all kept pretty hush hush. Right? 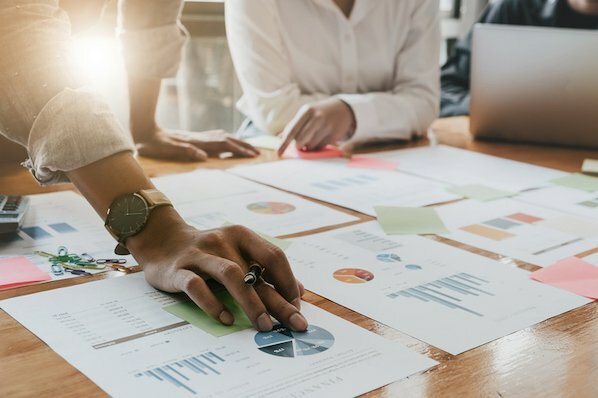 If you're looking to compete on inbound marketing techniques, you can actually find out quite a lot about your competitors by performing competitive content analysis. And if you're setting up or revamping your content strategy, doing a deep dive of this nature is important to not only orient yourself in your market, but to also determine what opportunities you have to easily outperform your competitors with content -- and where you need to put in more effort and resources. Yes, performing competitive content analysis takes significant upfront time, but doing so will help you set a realistic content strategy that will allow you to compete, and eventually overtake, your competitors online. So grab your list of competitors, read this guide, put your spy goggles on, and get going with your competitive content analysis! Begin by performing a website audit of your competitors with the aim of determining where content is housed on their site. This is the quickest part of the content analysis and sets you up to perform the next steps more easily, but requires the most "poking around" to find what you're looking for. Here's the most structured way I've found to approach this poking around exercise. Start by visiting the site's navigation. Where on there might content be housed? In HubSpot's case, for example, the 'Case Studies' section of the navigation is a clear indication of content. None of these other items, however, look content-focused. But that doesn't mean you shouldn't double check! Click through each item in the navigation to see if there is a sub-navigation that leads to content assets you would want to note. 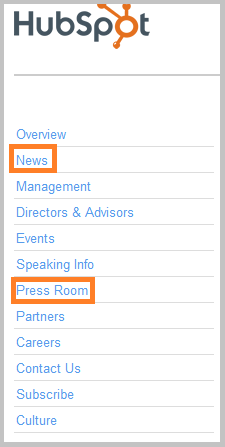 For example, when clicking through the 'About Us' section of HubSpot's navigation, you reach this page that contains 'News,' and the 'Press Room,' both of which house content you would want to index in your analysis. Continue to click through the navigation and sub-navigations, noting where on the site content is housed. When you've completed this step -- the length of time this takes depends on the breadth of the site -- return to the site's homepage and continue to scroll to see if there are any other places content would be housed that weren't in the main navigation or linked in the sub-navigation. 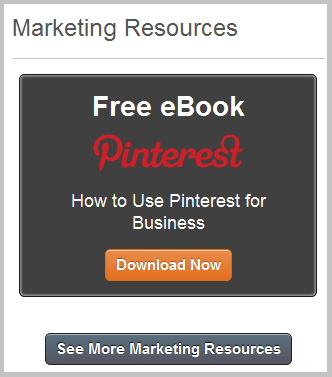 On HubSpot's homepage, for example, one can find 'Marketing Resources' further down the homepage. It's more and more common for websites to have resource centers that house long-form content like whitepapers and ebooks, so be vigilant about looking for these content repositories on competitive sites. Finally, visit the bottom navigation of the homepage for good measure. Often, there are links to pages that aren't easily accessible, even several clicks in to a site. The bigger the site, the more likely it is you'll encounter important content repositories in this section of the navigation. For good measure, you can also check out your competitor's sitemap, often but not always found in the bottom navigation. These are created for search engines to more easily crawl and index a website's content, but some companies choose to publish an HTML version, as well. This will help you fill in any blanks you may have missed during these exercises. To help guide you during this and the next step in your competitive content analysis, here is a list of content asset types you may encounter. Simply note the URLs on which you find these, but keep in mind that during Step 2, you may come across more places on the site where content is housed. Tip: Be sure to research whether your competitor has more than one blog, and if so, note for what those blogs are used. For example, HubSpot has multiple blogs, not all of which are linked to from the homepage -- this blog you're reading now discusses inbound marketing concepts, but we also publish a separate blog that discusses company and product news. All of our blogs have different objectives, and you should consider the unique purpose of the blogs you encounter among your competitors, too. Now that you know where content is published on your competitor's site, it's time to begin the content audit. This is the most time-consuming part of your competitive content analysis, but it will give you the best indication of how you stack up to their content creation efforts. 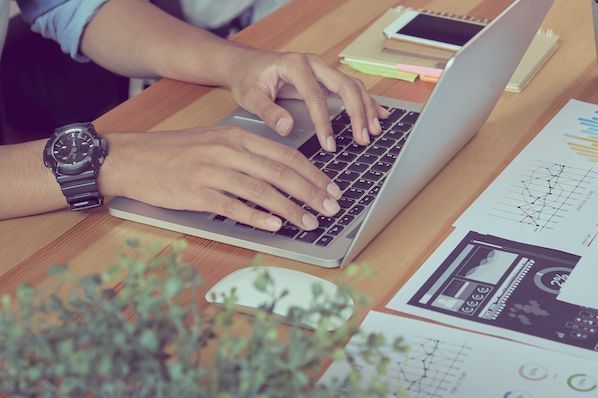 There are three things you'll want to tally in your audit; the first two in this list should be based on content asset type, while the third can stand alone. Quantity of each content asset type published - How many blog posts has this competitor published? What about case studies, whitepapers, ebooks, etc.? This will help you gauge whether you're up against a formidable content arsenal that will require a giant content creation team to surpass, or whether you're at an equal stage (or further along!) than your competitor. Frequency each content asset type is published - Do your competitors publish blog posts twice a week? Twice a day? What about how frequently they come out with a new ebook? Not everything will have a publish date on it, but do your best to gauge their publishing frequency for each content asset type so you know how active their current content creation efforts are. Distribution of topics discussed - This is the item that does not need to be broken down by content asset type, but you certainly may if you find it helpful. Your aim here is to determine which topics are discussed in their content so you can find opportunities they aren't capitalizing on, and determine which topics they are trying to establish a strong thought leadership (and search engine) position for. For example, if you're a unicorn breeder performing a competitive content analysis on another unicorn breeder's site, you may find your competitor has 225 blog posts (publishing once every business day), 12 case studies (publishing about once a month), 40 podcasts (publishing weekly), and 10 videos (publishing about every other month) about unicorn breeding. You also note that this competitor discusses three topics in their content: unicorn hygiene, training unicorns, and unicorn diets. But it turns out, they're heavy on the unicorn diet and hygiene content, but pretty low on unicorn training content -- after filtering their blog content based on how they've tagged the topics, you notice only 15% of it is about unicorn training! This is a weak spot in their content in which you could easily overtake their market share. Tip: Content audits are an extremely manual process. If you find this approach of navigating through URLs difficult, there are free site crawling tools out there that will index all the URLs on a given website and export them into a spreadsheet for you -- I've used Xenu Link Sleuth for this purpose successfully. With the spreadsheet of site URLs, you can categorize the content based on either the URL architecture, or if the content asset type is not apparent from the URL architecture, clicking through to the site to make that determination. For example, you would know this URL houses a case study without having to click through. Similarly, you can often gauge the topic of the content from the URL architecture. You know the topic of this post, for example, is Facebook because of the slug at the end of the URL. Are there rampant spelling and grammatical errors? How in-depth does the content go -- does it just scratch the surface at an introductory level, or does it go into advanced concepts? Is their content long or short? Keep in mind that both are acceptable, as long as the content is helpful. Is their content structured in a readable way? Are they making use of bullets, bold headings, and numbered lists? Who is writing their content? Do they have multiple contributors? Are they all internal, or are some of them guest contributors? What are their areas of expertise (do some social media sleuthing)? Is their content largely gated, form-free, or a mix? Which content assets do they put behind forms? You can also gauge the quality of the content based on how readers share and interact with it. Which topics resonate most? How engaged are readers with the content? Are people tweeting more about some topics than others? Sharing long form content on LinkedIn? Are they responding heavily to your competitor's Facebook posts about certain content? Are people commenting on any particular blog posts? What's the sentiment around their responses -- is it positive, negative, or a mix? Social media follow and share buttons - Are they giving readers the opportunity to share their content for greater reach, and follow them on their social media networks to consume more content? Content categorization - Do they categorize the content on their blog with tags that denote topics? This helps readers identify content most applicable to their interests. Bylines or bios - Can readers learn who the writer of the blog content is to establish greater trust and authority? Preview panes - When a reader comes to the blog, is there one long post, or previews of a handful of their most recent content to promote greater viewership? After asking yourself these questions across the content asset types your competitors publish, generate a grade that you think exemplifies how good their content is. It is subjective, yes, but you'll likely find a wide range on the quality scale as you research more competitors. You can also, however, make use of several free and paid tools out there that help you more comprehensively evaluate your competitors' search engine optimization. If you're a HubSpot customer, for example, you can input competitor sites into our Competitor Tracking Tool for a more quantitative approach. With this tool, you'll have a much better indication of your competitor's SEO savvy with metrics like mozRank, their traffic rank, how many indexed pages are on their site, and how many domains link to theirs -- a key indicator of not only their search engine optimization, but the quality of their content. You'll also notice you get a little help with Step 5 with this tool, which calculates their Facebook and Twitter followers for you. Social media is inextricable from content strategy, so it's crucial to get a gauge of how your competitors are using social media. But hey, you get to play around on Facebook during this quick and final step in the competitive content analysis process -- so rejoice! Perhaps not all of these are relevant to your brand -- but it's better that you double check, right? If a competitor is using a social network creatively and effectively that you thought was not applicable to your brand or industry, you would certainly want to get in on the game. For each social network, note how many fans/followers they have, how frequently they post, what kind of content they publish, and how frequently fans interact with that content. Social media is an excellent tool for expanding the reach of content, but too many businesses ignore it. You may find that some (or all!) of your competitors are also missing out on this opportunity -- another area in which you can quickly outpace your competitors in your content strategy. You should also browse their homepage and other main pages of their website for social media follow and share buttons to determine how seriously they take social media marketing. Now that you've gathered all this competitive intelligence, what exactly should you do with it? 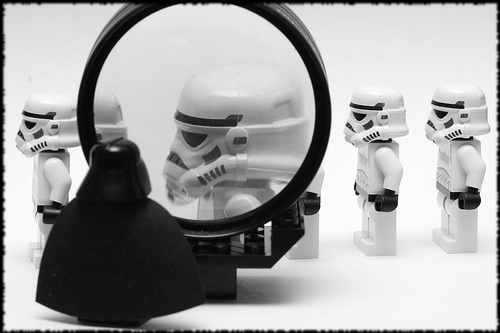 How do you use your diligent detective work to inform your content strategy? 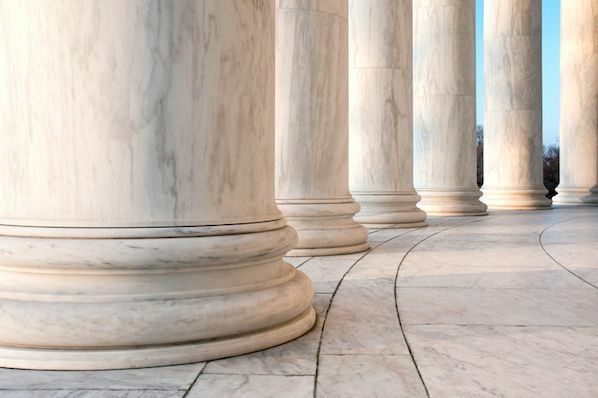 By knowing where you stand alongside your competitors' content creation efforts, you can decide what you need to do just to keep pace, and then to surpass them. But it is crucial to look at all of your findings as a whole, not just one aspect -- because they all impact one another. Are you already lagging behind some of your competitors -- or all of them? If so, look at those particular competitors, and see what they are doing better than you. Are they beating you by brute force with publishing volume? Is that a game you have the resources to compete in? Or is it simply that they are investing more time sharing their content socially, something you can easily remedy by putting more time and effort into your social media programs. When you know not only who is beating you in the content game, but why they are beating you, you can take steps to address the specific issue instead of wasting precious resources trying to fix something in your content strategy that, well, just may not be broken. You should come back and monitor all of these metrics on a quarterly basis, or if your competitors are very active, even more frequently. Also remember that it's important to orient yourself with your competitors to develop an appropriate content strategy, but not to harp on every action they take. You're in the market because you have a competitive differentiator -- don't let what others do dictate your entire marketing strategy! What other competitive intelligence do you gather that helps guide your business blogging and content creation strategy?